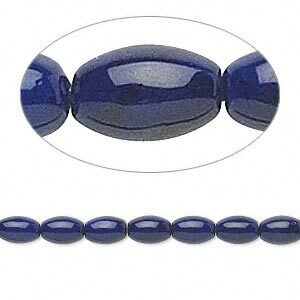 Bead, riverstone (dyed), dark blue, 6x4mm oval, B grade, Mohs hardness 3-1/2. Sold per 15" to 16" strand. 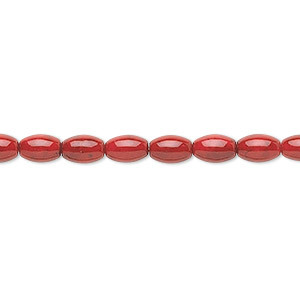 Riverstone beads have been specially cut to reveal unusual and interesting surface features. Color may vary from dye lot to dye lot. Testing for colorfastness is recommended. 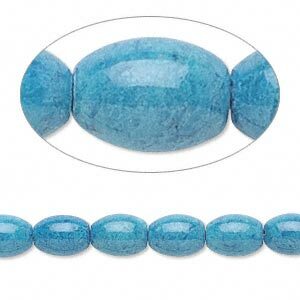 Bead, riverstone (dyed), light blue, 6x4mm oval, B grade, Mohs hardness 3-1/2. Sold per 15" to 16" strand. 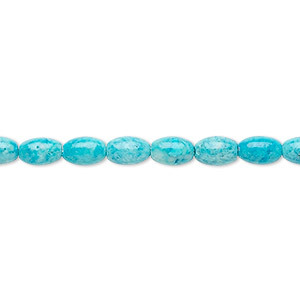 Bead, riverstone (dyed), turquoise blue, 6x4mm oval, B grade, Mohs hardness 3-1/2. Sold per 15-1/2" to 16" strand. 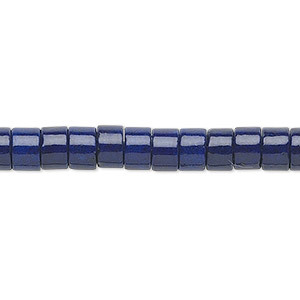 Bead, riverstone (dyed), dark blue, 6x4mm rondelle, B grade, Mohs hardness 3-1/2. Sold per 15-1/2" to 16" strand. 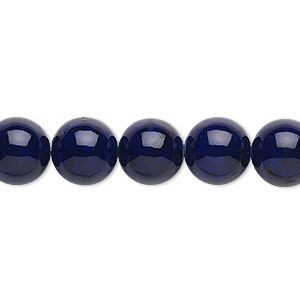 Bead, riverstone (dyed), dark blue, 10mm round, B grade, Mohs hardness 3-1/2. Sold per 15-1/2" to 16" strand. 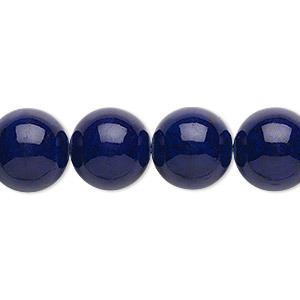 Bead, riverstone (dyed), dark blue, 12mm round, B grade, Mohs hardness 3-1/2. Sold per 15-1/2" to 16" strand. 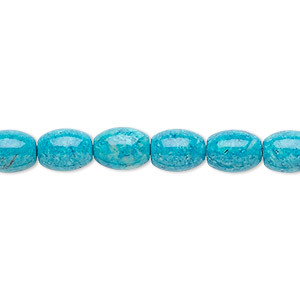 Bead, riverstone (dyed), turquoise blue, 8x6mm oval, B grade, Mohs hardness 3-1/2. Sold per 15-1/2" to 16" strand. 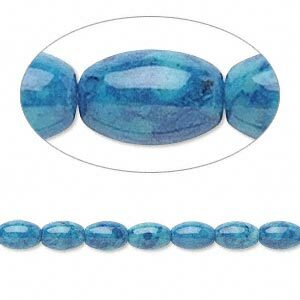 Bead, riverstone (dyed), light blue, 8x6mm oval, B grade, Mohs hardness 3-1/2. Sold per 15" to 16" strand. 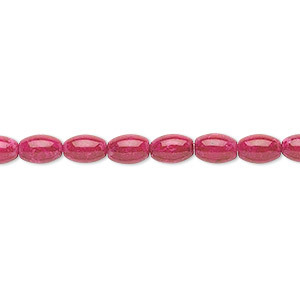 Bead, riverstone (dyed), beet red, 6x4mm oval, B grade, Mohs hardness 3-1/2. Sold per 15-1/2" to 16" strand. 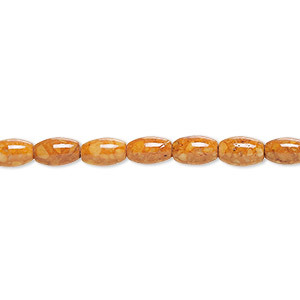 Bead, riverstone (dyed), brown, 6x4mm oval, B grade, Mohs hardness 3-1/2. Sold per 15-1/2" to 16" strand.